Open seasonally, the Tuolumne County mountain passes are exclusive to selfie connoisseurs and travel enthusiasts looking for the most stunning scenery. Every turn is picture perfect, so now is time to explore the breathtaking High Sierra. Experience the enchantment of unique and incredible mountain formations and beautiful rivers and streams along Sonora Pass, Highway 108. Behold the beauty of Yosemite National Park’s less explored Tuolumne Meadows and mountain peaks along Tioga Pass, Highway 120. Explore both scenic mountain passes with an epic road trip loop. Time is limited on the accessibility of beauty, so don’t miss out on the most extraordinary road trip in California’s High Sierra. Highway 108, Sonora Pass- Reach new heights on Highway 108. Pass through the historic town of Sonora and climb to 3,650 feet in Twain Harte. Stop and take in a round of golf among beautiful pines at the family owned 60-year-old Twain Harte Miniature Golf. Continue the trek up to 6,310 feet for Instagram-worthy views at Donnell Vista. The all-encompassing scenery here covers the outlandish rock formations known as the Dardanelles and the crystal-clear Donnell Lake. Make some time to horse around at Kennedy Meadows Pack Station. Take a horseback ride along the South Fork of the Stanislaus River and into the stunning meadow. 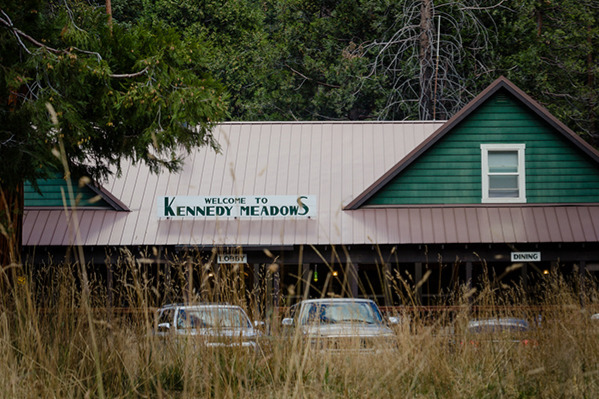 Have a ranch-style dinner and cozy up in a rustic cabin at Kennedy Meadows Resort for a good night’s sleep. Wake up to sunny blue skies and hit the road again and continue the venture up to the top of the mountain peak at 9,623 feet. Like a painted canvas the views are breathtaking with mountains, greenery, rivers, and lakes. While there don’t forget to breathe, the air is so fresh and crisp it feels like an oxygen bar. Wind on down the backside of the pass and get ready to loop it to Highway 120. Highwa y 120, Tioga Pass- Departing Tuolumne County for a brief bite to eat hang a right onto Interstate Route 395 into Mono County and stop at Bridgeport for some much-needed food and refreshments. A local favorite is the Main Street Deli. Grab a meal to-go and find a cozy outdoor picnic area to capture the awe-inspiring high desert. Time to put the pedal to the metal, roll the windows down and turn up the tunes as the road runs 40 miles to Highway 120. Wind up the highest pass in the Sierra Nevada Mountain range at 9,943 feet. Stop at the highest point, Mount Dana then continue to iconic Yosemite National Park. 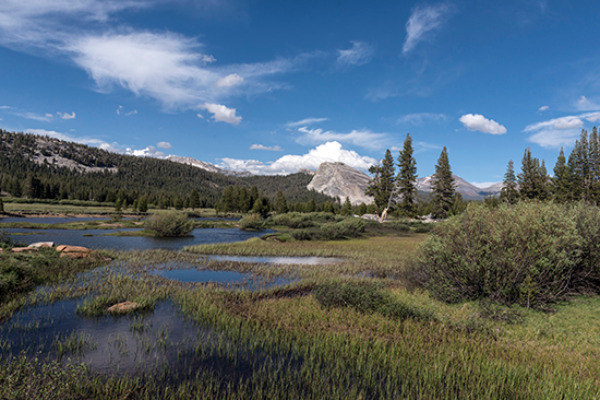 After crossing into the park keep trekking along back into Tuolumne County and take the time to explore the secluded part of Yosemite, Tuolumne Meadows. Stretch those road trip legs with a leisurely walk through the expansive meadow. Go from meadows to ancient giants with a stop at the Tuolumne Grove of Giant Sequoias. These sequoias are the third longest living tree specimen, dating back thousands of years. Depart the park and get ready for a good night sleep in the town of Groveland. Choose from a luxury hotel like Rush Creek Lodge, a historic hotel like the Groveland Hotel, or a quaint bed and breakfast like Berkshire Inn. In the morning grab a hearty breakfast and head out on a whitewater excursion on the Tuolumne River. The last leg of Highway 120 will land in the town of Chinese Camp. Spend some time exploring the historical landmarks and pop into the Tuolumne County Visitors Center to share your road trip loop story with a friendly face. Visit www.VisitTuolumne.comto find lodging, including quaint B&Bs, cabins and more, for your trip to Tuolumne County.